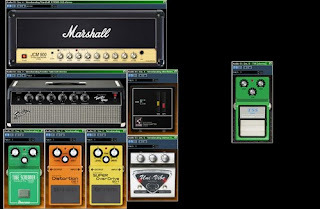 I have received many requests to update some of plugins here with stereo capabilities. The background is of course the extended routing possibilities, for example, it's convinient to feed a stereo bus with two separate channels and to have a single plugin on insert, for double-tracking. Thus, we very much appreciate stereo plugins nowadays. But, please be warned, these are more CPU-intensive since there are two instances loaded with each. I can't get the stereo version of the TSS GUI wrapper to work in stereo. Also, I can't see a difference (same file size, CRC, etc) between the stereo version of the dll and the normal version. Have I downloaded the wrong file or have you uploaded the wrong file? I've just re-downloaded both the stereo and non-stereo versions and the dll's in both rar's are identical. I should clarify: The TSS GUI Wrapper.dll's in both rar's are identical apart from one has a last modified date of 15 December 2008, 16:30:48 and the other has a last modified date of 15 December 2008, 17:30:48. Really appreciate you creating this. I've been hankering after a stereo TSS for a while now. There is some error with this plugs, can you help? here is some pics with error! Hello guys maybe I'm too old for these electronic devices but sombody can explain me why i can't install no one effect or amp symul? After unzip the rar and installing i found folder,dll and other but no start button or exe files. Are these plugins part of programs wich i must have or are real free application ? Can you hel me? How come I don't have any presets with the GUI version? Thanks for any help available. Hey! I love all the GUIs but I get no sound out of stereo ones in Cubase. Is there any secret to it? I run the standalone version, and it doesn't find my asio drive from my interface. Any help?